Initially founded in 1845 in Amsterdam, Cornel Geerts International Forwarding BV has a rich history as forwarding agent under supervision and management of prominent shipping lines in Rotterdam . Since 1985 CG International Forwarding became privately owned again by friendly management buy-out,, and continued as a midsized forwarding agent,specialized in full logistic services for general cargo, FMCG and alcoholic products, including full customs clearance procedures and related European road distribution. In 1992 CG International Forwarding was initiator and co-founder of the IFA association, which developed into a Pan-European network of privately owned forwarding companies. 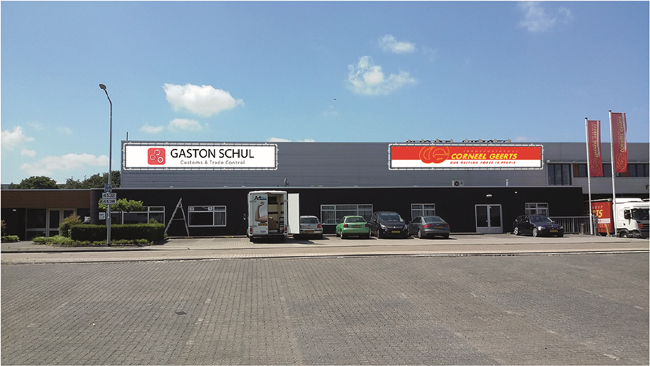 Our head office is strategically situated in Venlo (NL) with 12.000 m2 bonded warehouse (incl. AGP license) and daily connected (by inland rail and barge terminals) with the main ports in Rotterdam, Amsterdam and Antwerp. Our focus is on customs related traffics and logistics activities by concentrating on import/exports from overseas and non-EU countries. In 2014 we achieved to become an official AEO-certified company. We also offer neutral consolidation services (collection/distribution) for international partners, which require the issue of export documentation (EXA / ATR/ T-1 / CVO etc.) or customs clearance. One of our specialisms is the Turkish market. We can also act as (limited) fiscal representative for EU and non-EU clients, which offers full benefits to our clients by having easy access to the EU-market without having commitments of being registered at EU-tax authorities. With all these ingredients and specialisms we strive to be an all-round service-provider in customs trade and logistics for our global partners and customers.